A tale celebrating the joy of friendship. Squish is just a little rabbit. But being little can lead to BIG problems. Sometimes Squish is hard to hear . . . and see. And it isn't easy making friends. But no matter how little Squish is, one thing is certain . . . he has a very large heart. "Hopelessly cute . 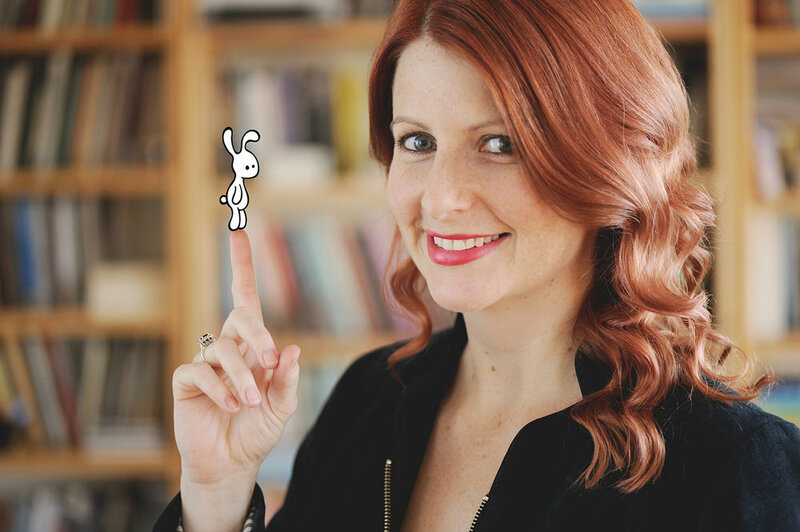 . . , 'Squish Rabbit' is bound to win children’s hearts." Also available in a special board book edition. A tale about being brave … even if you don’t feel it. dark . . . especially the dark! 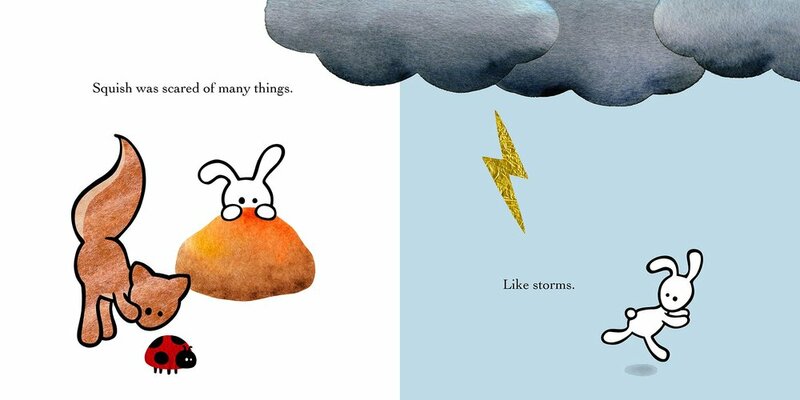 What will Squish do when he can't find his friend one stormy night? Maybe he'll discover that being brave makes the dark a little wonderful after all. Printed with a fun squishy cover (that glows in the dark!) perfect for little hands. "Adorable, sensitive, and squish-ably vulnerable." A tale about friendship, big dreams and the joy of pets. Squish is just a little rabbit, but being little leads to big dreams … Most of all, Squish dreams of having a pet. He wants a puppy, but he doesn’t know where to find one! With the help of his best friend, Twitch, Squish sets out to find the pet of his dreams. "I have strong childhood memories of feeling very small in a big world. I also remember what it was like having all these big things inside of me - thoughts and ideas and feelings - which I was still learning how to express. 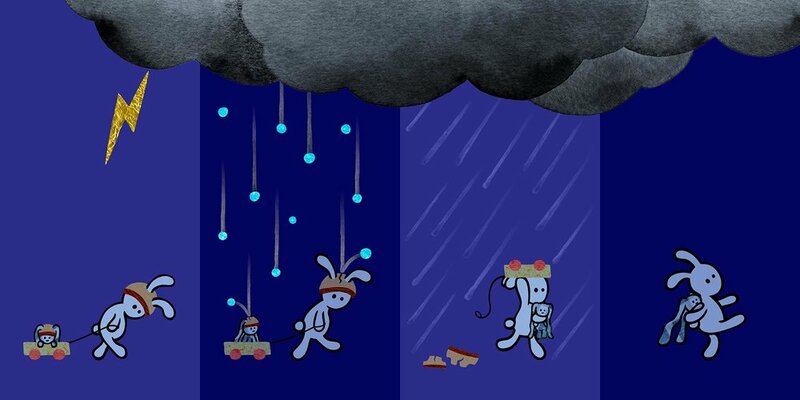 This is where Squish Rabbit came from." "For many years I worked as a paediatric Occupational Therapist, specialising as a children's counsellor. I got to work with some of the most amazing young people and was constantly inspired by their stories. 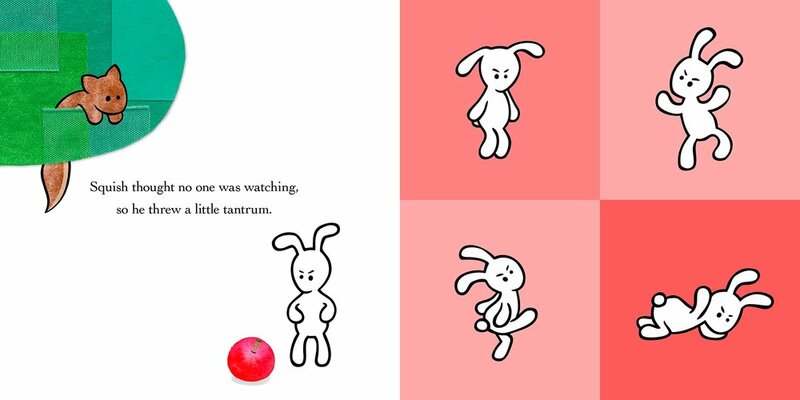 Squish Rabbit is definitely influenced by this time, as his books tackle many common childhood themes, such as friendship, self confidence, fears and finding your voice."